Most of my sleepwear/loungewear is pretty tatty and old and embarrassing. This Christmas I wanted to look a bit more presentable in the morning. Enter Le-Roy 3138. 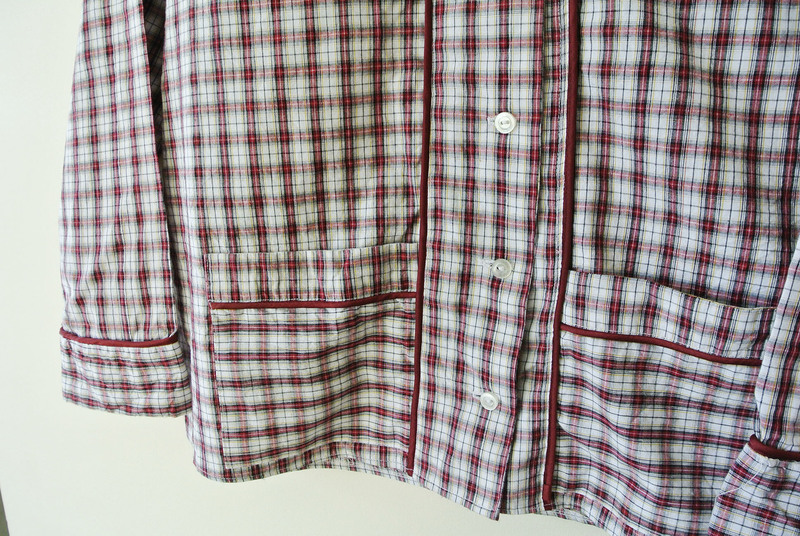 I’ve made pyjama bottoms before – a modern McCalls pattern – with pretty bad results. 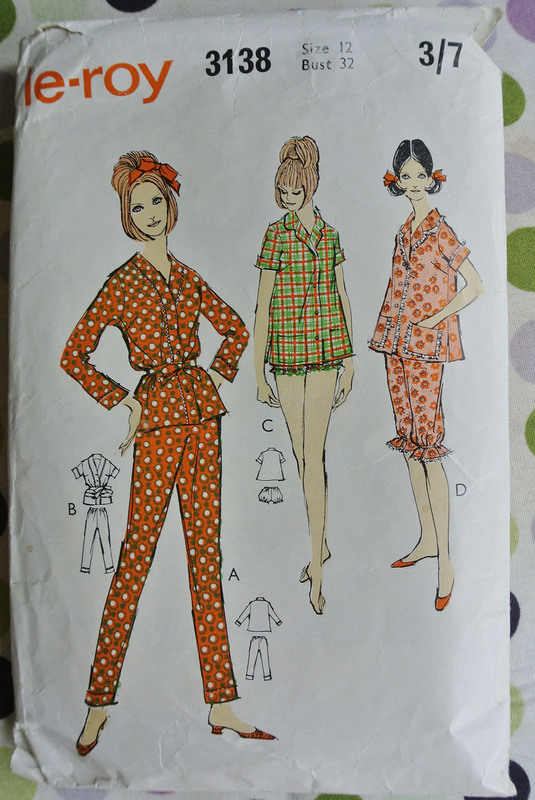 I liked the slim cut leg of these 60s pyjamas and the natty little pockets. Rather than ric-rac I went for classy burgundy piping. I think they turned out pretty well, if I do say so myself. I haven’t got a picture of me wearing them, but rest assured they fit pretty well. Next time however I will make a few adjustments. Despite lengthening the bodice by 1 inch, I think I should lengthen it by at least an inch more. The armholes need to be a bit lower too. Its comfortable, but can bunch up a little. The trousers also could do with another extra inch. I had to reinsert the elastic to gain a much needed inch. The sleeves definitely need another inch or two. Whilst cutting I did take my proportions into account, and all of these pieces, bar the sleeves have had my usual length added to them. I wasn’t about to make a muslin for some pyjamas. 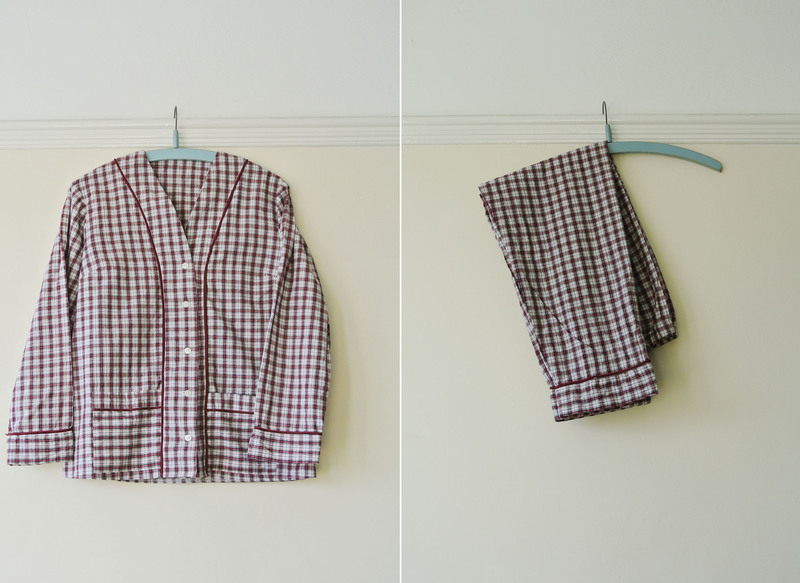 For some reason I did make the matching belt, but belted pyjamas are a concept I can’t yet get down with. 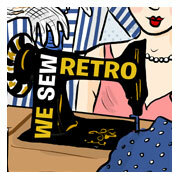 I’d like to make another pair, but perhaps with view C’s short sleeved top. All of these 2013 posts will stop soon, I promise. At some point I’ll get sufficient light for photographing.